You probably know that resveratrol is a powerful polyphenol found in grapes and other fruits that fights ailments from cancer and heart disease to Alzheimer's and diabetes. But that's not all this amazing antioxidant can do. New research published in the International Journal of Obesity has found that resveratrol and other polyphenols found in fruit might be great for skin and your weight. It does this by turning your fat into fat. Yes, you read that right. Did you know there are actually three types of fat? You're probably most familiar with what scientists call "white fat." White fat stores lipids as energy — and it's what you don't want to see settling around your middle. Some white fat is good. After all, our bodies need to have some energy stores. But if you have too much white fat, the cells start to die because they can't possibly hold any more energy. As they die, they cause inflammation, which can lead to a host of health issues, including skin problems. There's also "brown fat," which burns the stored lipids, generating heat. This fat helps us burn calories as it uses up that stored energy. The third type of fat is "beige fat." Scientists discovered beige fat just a few years ago. 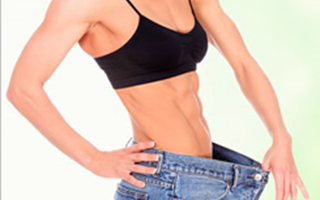 Beige fat results from white fat undergoing a process called "browning." Beige fat is a calorie-burning powerhouse, and since the browning process reduces white fat, beige fat is a win-win for preventing obesity. Until recently, scientists weren't sure why resveratrol helped to prevent obesity. But this study found that resveratrol stimulates this browning process. Researcher Min Du explained, "Polyphenols in fruit, including resveratrol, increase gene expression that enhances the oxidation of dietary fats so the body won't be overloaded. They convert white fat into beige fat, which burns lipids off as heat, helping to keep the body in balance and prevent obesity and metabolic dysfunction." 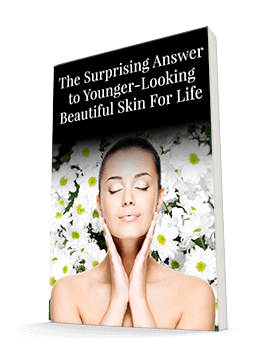 In essence, it greatly slows the aging process, helping your skin and other organs stay healthy longer. For this study, the researchers fed two groups of mice the same high-fat diet. But one group received a resveratrol supplement, and the other didn't. The group receiving the resveratrol gained approximately 40% less weight than the control group. The amount of resveratrol the mice received was the equivalent of approximately 12 ounces of fruit for humans, or about two to three servings. It's best to eat the actual fruit rather than just take a supplement. The fruit gives you the benefits of all the polyphenols plus the fiber the fruit contains. In particular, blueberries, strawberries, raspberries, grapes, and apples are full of these fat-transforming compounds. But a supplement, such as Advanced Resveratrol Formula, may help you burn fat faster. Du does offer the caveat that despite what you may have heard, red wine is not the best source of resveratrol. He explains, "Many of the beneficial polyphenols are insoluble and get filtered out during the wine production process." It's fine if you want to enjoy one glass a day. But if you really want to harness the benefits of polyphenols, go for the source with the berries and grapes. You've probably never been so excited about the opportunity to gain some fat!